Jet's cancellation rate of scheduled flights during February too has been better at 1.89 per cent as against our national carrier Air India's 8.15 per cent and Air Asia's 2.46 per cent. HYDERABAD: Troubles for Jet Airways are mounting by the day, but the full-service carrier not only held its ground but did better than others including market leader Indigo and Air India on key metrics. Data from the Director General of Civil Aviation (DGCA) shows that Jet Airways fared well on key parameters like passenger load factor, on-time performance and number of passengers affected due to flight delays and cancellations. With lessors de-registering Jet fleet and amid pilots and crew threatening to go on strike over non-payment of salaries, one would imagine Jet Airways to top the list of airlines affecting passengers due to flight cancellations and delays. Ironically, that distinction went to Indigo and Air India. For instance, in February, a staggering 1,13,665 passengers flying Indigo were affected due to delays beyond two hours, followed by Air India (53,498 passengers affected), as against Jet's 529 -- one of the lowest among operators. Experts reckon the reason to a large fleet size of other carriers compared to Jet, whose number is sliced to the bone and currently stands at 26 from about 116. Given that Jet's fleet is fast depleting, the number of cancellations too should be high, but that's likely to reflect in March data. At least in February, yet again, Indigo's passengers were most affected due to cancellations at 41,549 passengers, while Jet Airways and Jet Lite's combined number stood at 13,595 passengers. The airline, which is succumbing due to want of funds, performed better on metrics like the passenger load factor at 89.4 per cent compared to Air India's 83.3 per cent and Indigo's 88.4 in February, implying that either customers continue their loyalty to Jet or are simply booking tickets due to short supply. Jet's cancellation rate of scheduled flights during February too has been better at 1.89 per cent as against our national carrier Air India's 8.15 per cent and Air Asia's 2.46 per cent, while Jet's on-time performance in four metros -- Bangalore, Delhi, Hyderabad and Mumbai that DGCA compiles -- was also a shade better than Indigo. 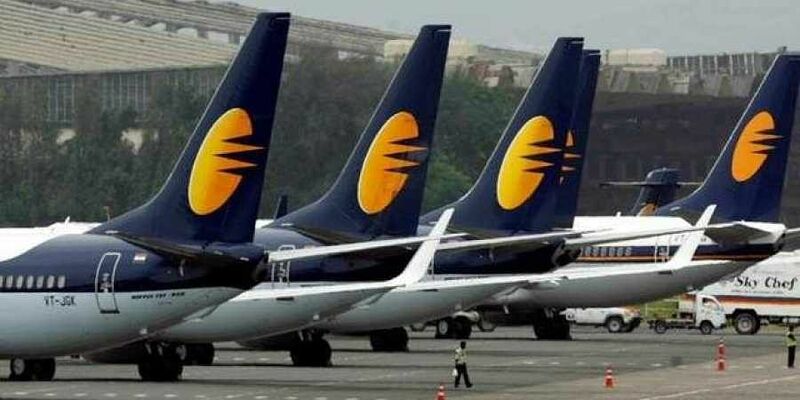 Jet Airways carried 14.91 lakh passengers in January, but that fell to 11.33 in February, while its market share too dropped to 10 per cent from 11.9. The air carrier needs an Rs 1,500-crore lifeboat, without which it runs the risks of getting grounded by month-end.